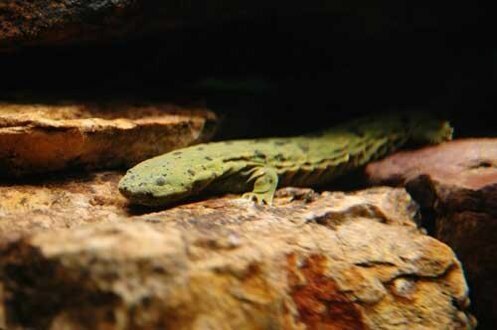 The Saint Louis Zoo has bred Ozark hellbenders in captivity for the first time. This is most definitely a worthwhile achievement and a step forward in retaining as much of Earth’s rich diversity as possible. Also known by the colloquial names of “snot otter” and “old lasagna sides,” the adult hellbender is one of the largest species of salamanders in North America, with its closest relatives being the giant salamanders of China and Japan, which can reach five feet in length. How Do You Hide A 6-Foot, Colored Lizard From Modern Science For 150 Years? Western scientists have officially catalogued animals on the islands of the Phillipines for over a century and a half and yet, a 6-foot-long, gold flecked, colored lizard just happened to escape their attention. Until last summer. Rumors of the lizard’s existence floated among biologists for the past 10 years, Brown explained. “People had taken photographs of hunters from the resident tribespeople as they were carrying the reptiles back to their homes to feed their families in 2001,” Brown said. A team went on a two month expedition to track the animal down in 2009 and only found one adult male after all of their food and money had been exhausted. One possible theory while the particular lizard is scarce? Local tribesman prefer their meat to other monitor lizards. 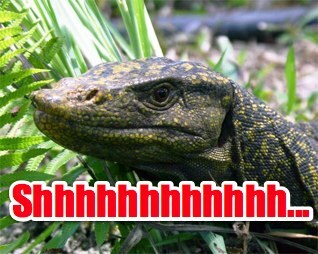 Posted in Lizard, Science | Comments Off on How Do You Hide A 6-Foot, Colored Lizard From Modern Science For 150 Years? You are currently browsing the archives for the Lizard category.